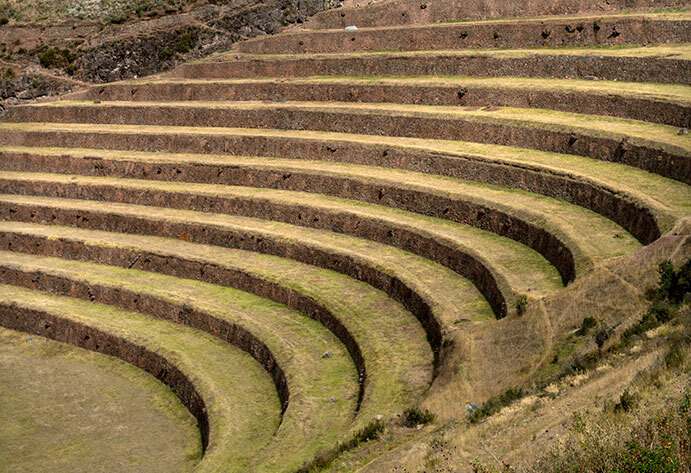 Paratia District, Peru, 2014. 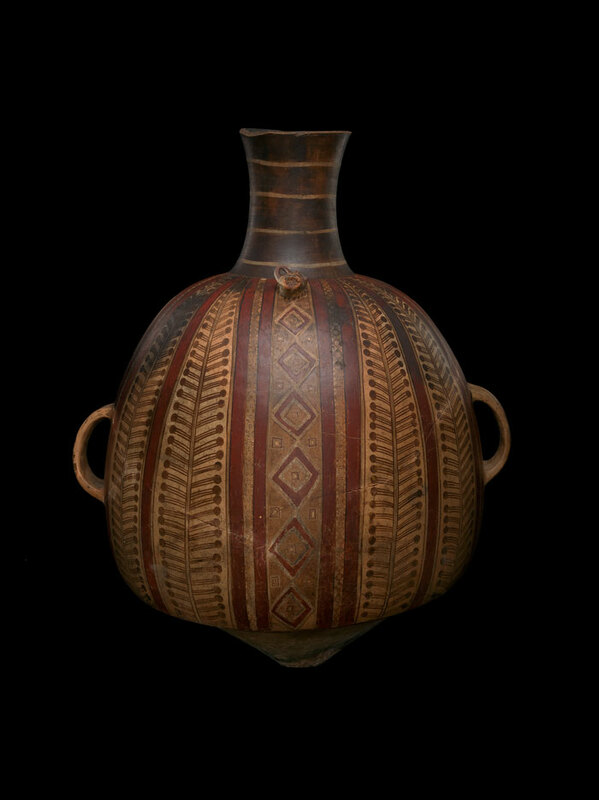 Photo by Doug McMains, NMAI. 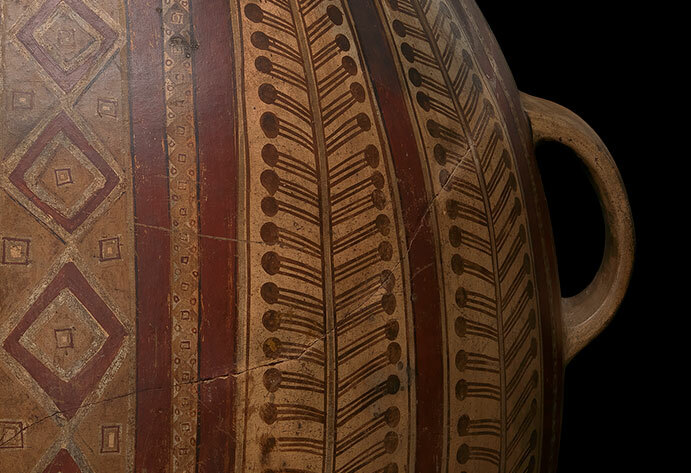 Tawantinsuyu was made up of four suyus (regions), each with diverse populations, environments, and resources. 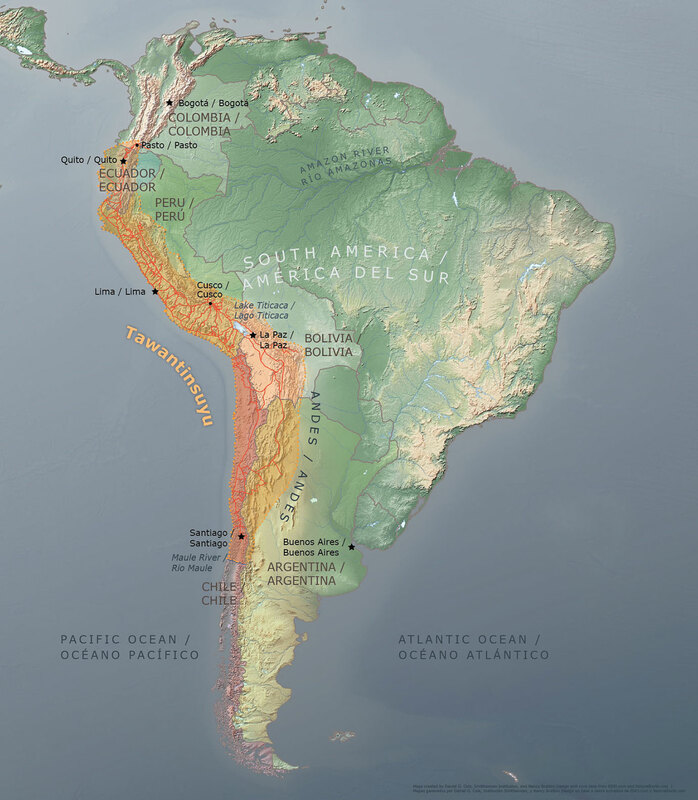 With its network of roads, storehouses, religious sites, and administrative stations, the Qhapaq Ñan integrated the suyus into one empire. 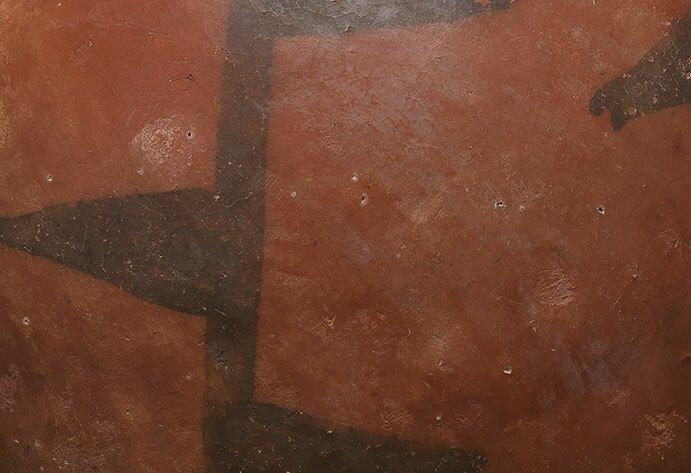 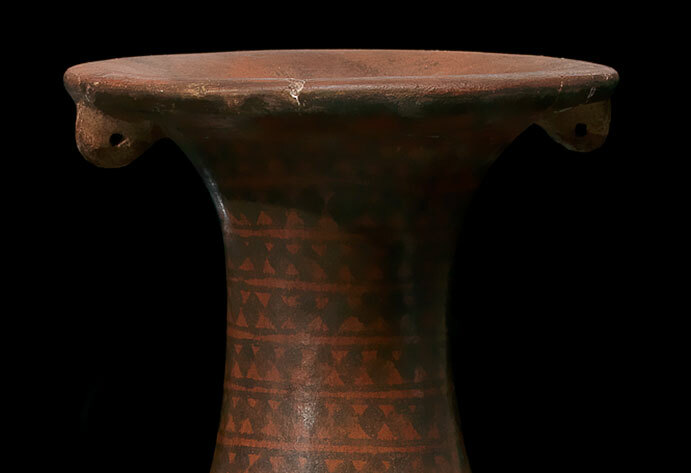 To acquire territory, Inka rulers employed various strategies, from war to diplomacy and marriage alliances. 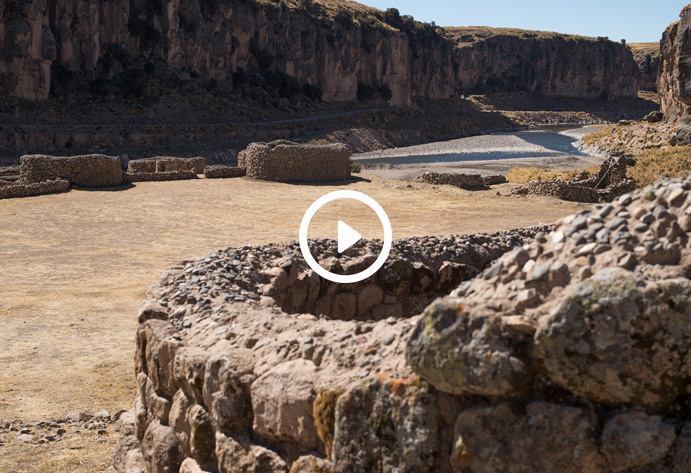 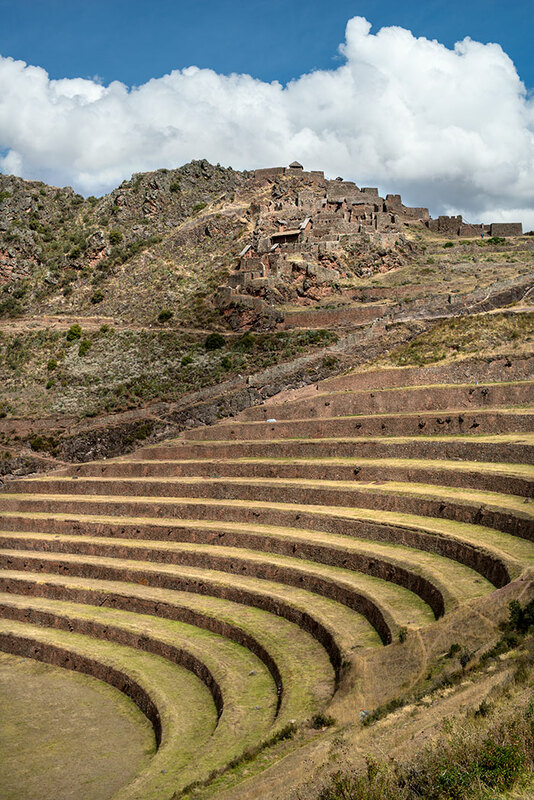 The Inka state provided security, goods, and services; conquered communities gave the empire allegiance and labor. 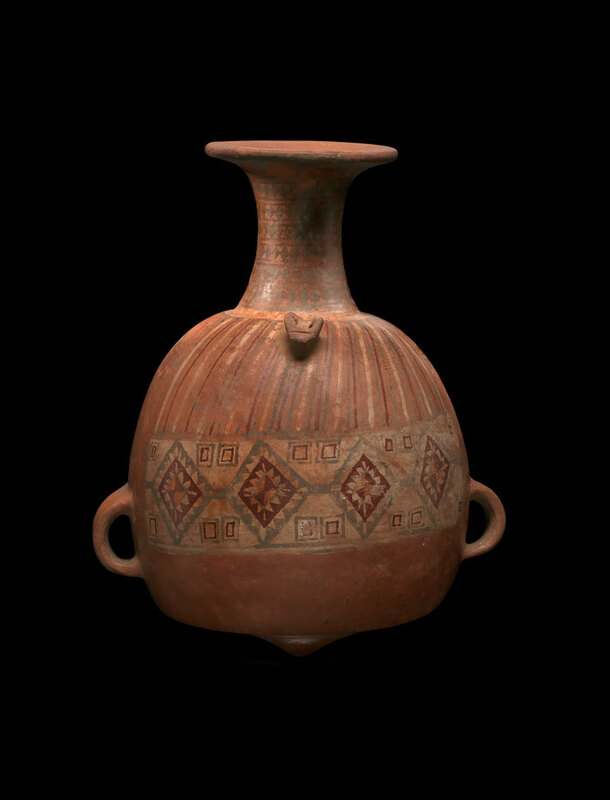 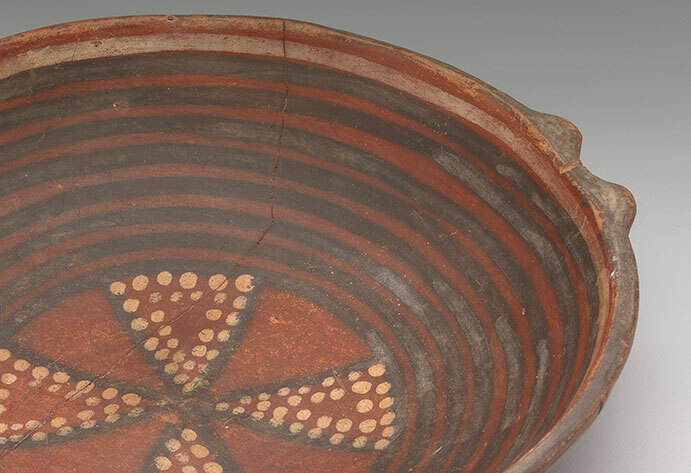 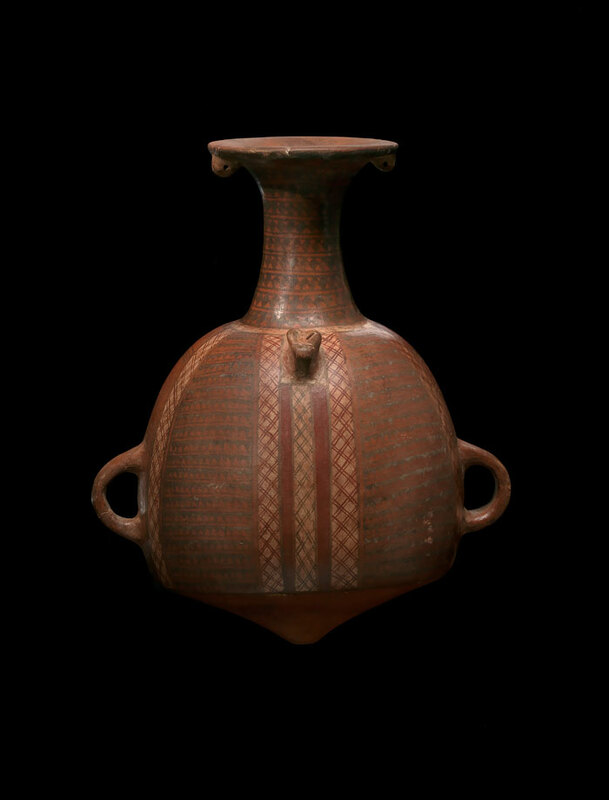 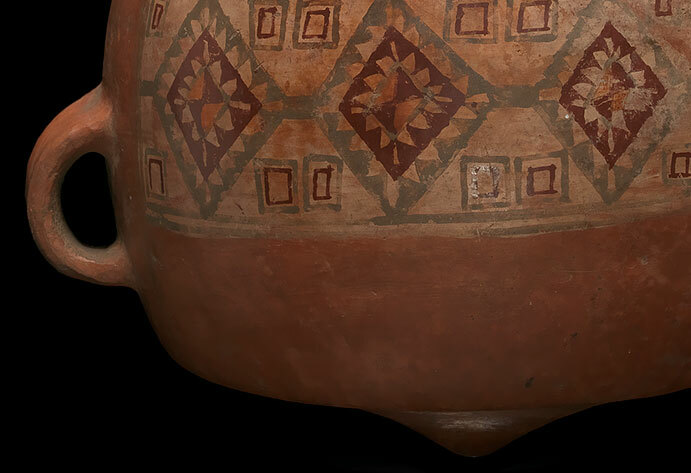 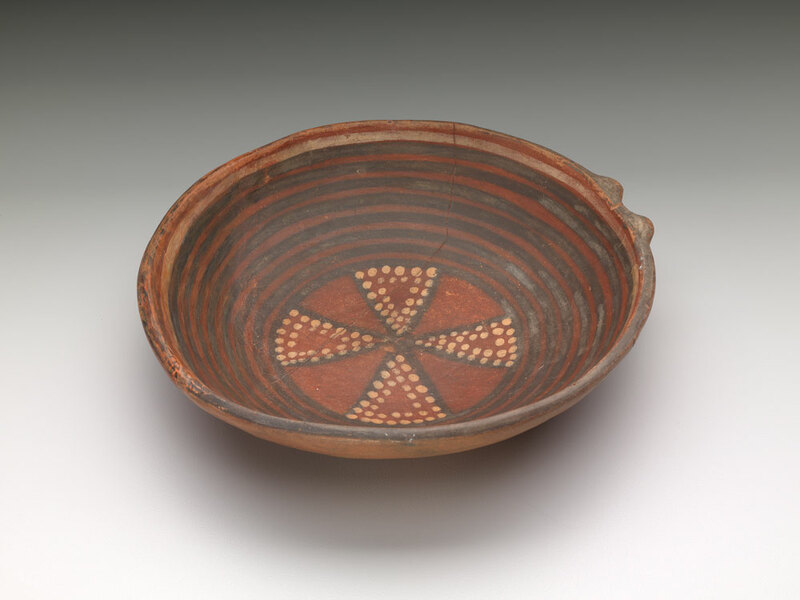 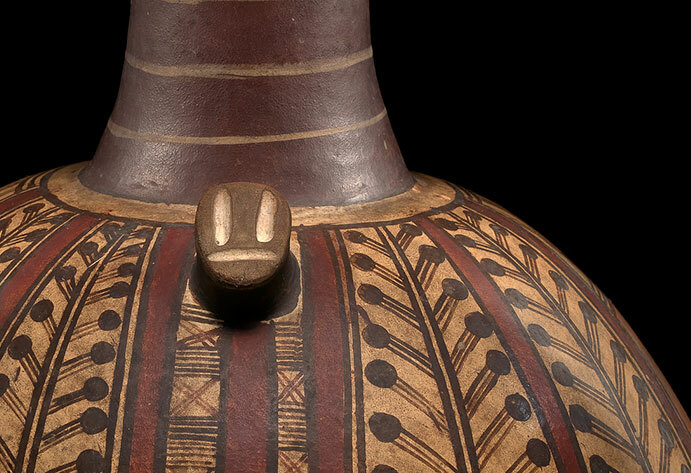 This distinctively shaped Inka vessel is a symbol of the Inka Empire. 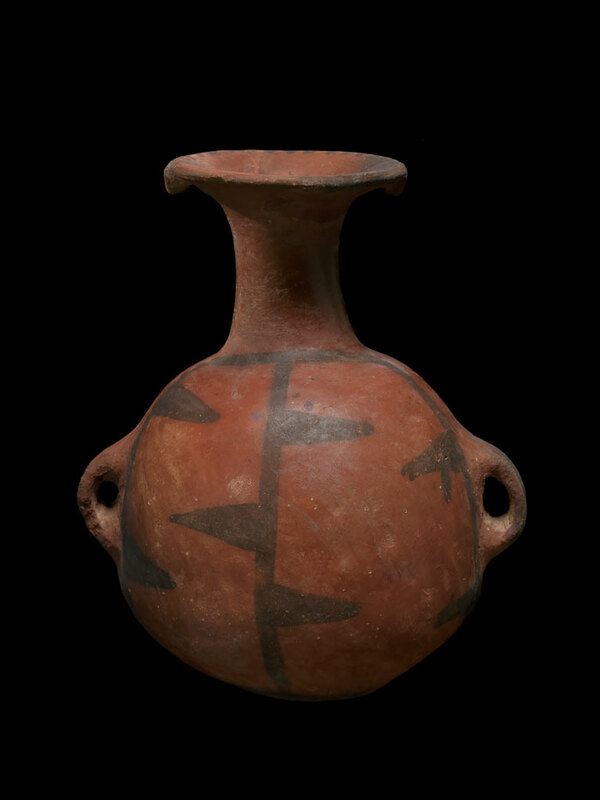 Arybalos are found in every territory that the Inka conquered, with regional variations in decoration. 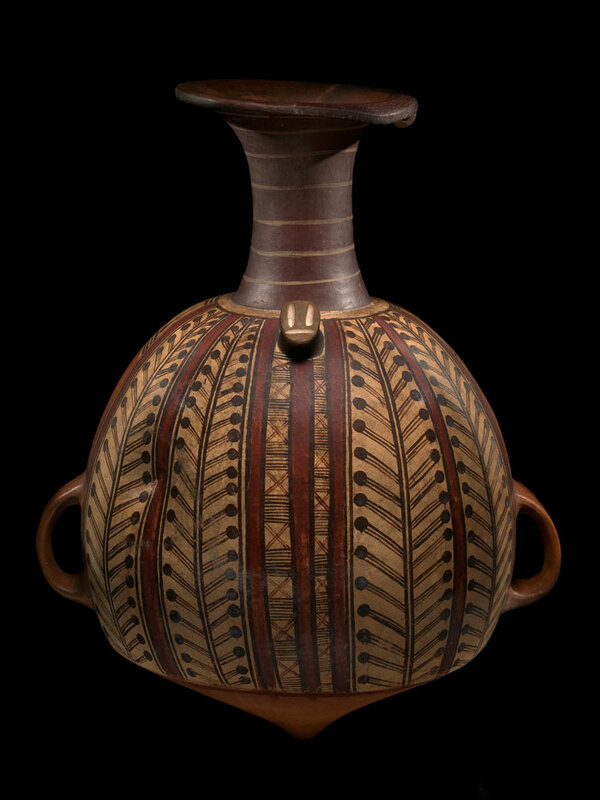 The largest arybalo shown here was used to store chicha (corn beer).